recognition in the past year. This era of compliance is just around the corner. Some 54% of state-owned enterprises (SOEs) and 35% of privately owned companies have general compliance policies in place, according to findings from the China Compliance Blueprint for 2017-2018, jointly compiled by the China Institute of Corporate Legal Affairs, the Company Rights Protection Centre of China Council for the Promotion of International Trade (CCPIT) and Shanghai-based law firm Fangda Partners. 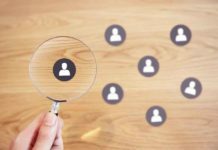 However, no more than 20% are equipped with both tailor-made third-party compliance management and compliance due diligence policies, the blueprint reports. In a positive milestone for the development of corporate compliance regulatory rules, the Compliance Management System Guidelines, approved and announced by China’s General Administration of Quality Supervision, Inspection and Quarantine and Standardization Administration, took effect on 1 August last year. Hot on the regulatory radar this year are e-commerce law, patent law, rules on science and technology innovation, and foreign investment law. 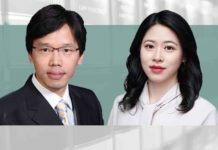 Chinese companies and legal counsel are already anticipating how the changes and implementation will impact their bottom lines. 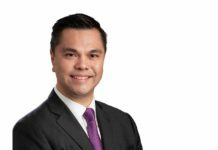 “As one could expect, 2019 marks the first ‘compliance year’ for the e-commerce industry,” says Andrew Zhang, a senior partner at Commerce & Finance Law Offices in Beijing. Since the first internet transaction took place in China back in 1998, the e-commerce revolution led by tech behemoth Alibaba has borne rich fruit in the world’s second-largest economy and given birth to brand new business never seen before worldwide. The e-commerce industry in China is growing at a bewildering rate that is dwarfing other countries. As figures from the McKinsey Global Institute showed, in 2016, the nation contributed to 42% of global e-commerce, compared with a mere 10 years ago when its share was just shy of 1%. From its humble beginning, to being part and parcel of China’s economy, e-commerce has not only brought about a sea change to society and people’s daily lives, but also given rise to industry-wide chaos such as a flood of counterfeit goods, unlicensed business activities, and the ambiguity of power and responsibility for third-party platforms. As reports of consumers experiencing difficulty safeguarding their rights increase, there is a growing call for bringing business into line with the rule of law. On 31 August 2018, the 5th Session of the Standing Committee of the 13th National People’s Congress (NPC) passed China’s E-Commerce Law, which came into effect on 1 January 2019. The NPC Standing Committee officially started mulling the law from 7 December 2013. Zhang explains that the new E-Commerce Law for the first time clearly defines e-commerce operators and the responsibilities of e-commerce platform operators (they are banned from excluding or restricting competition). It also explains the “safe harbour principle” and “red flag principle” in respect of intellectual property (IP) infringement, and the multiple duties of e-commerce operators, making the law’s importance self-evident. Yang says that provisions on the “safe harbour principle” and “red flag principle” in the E-Commerce Law are no different to those in the Tort Liability Law and Regulations on the Protection of the Right of Communication through Information Networks, in terms of the basic idea. But the former specifies how those principles should be applied to the e-commerce industry. Previously, when online platform business operators removed the infringing content upon the receipt of a take-down notice, the platforms were free from liability. But if the infringing activities are obvious, like red flags flying high, online service providers cannot turn a blind eye. Although the above-mentioned principles are simple and clear, Yang says there has been a great deal of debate in legal practice, including how to determine online platforms’ abuse of the safe harbour principle as a shield from undertaking tort liability, and how to determine the criteria of “knew or should have known”, highlighted in the red flag principle. Article 41 states that e-commerce platform business operators should establish rules for IP protection. Although clear penalties have not been stipulated, violation of this provision will affect the determination of fault to some extent. In legal practice, a “notice and take-down” procedure is a commonly used method of rights protection against e-commerce-related infringement. However, the absence of proper complaint channels usually denies rights holders access to filing a notice. Hence, they have nowhere to safeguard their legitimate interest. Yang says article 41 hopefully can establish an effective channel for the protection of rights owners. Nowadays, You says, large Chinese companies whose businesses do not involve internet and e-commerce are few. How to make business operations comply with laws and rules remains a pressing and unsolved issue. Such an issue is particularly relevant to internet, e-commerce and similar financial businesses, whose ahead-of-time development in the past years has piled up business and compliance risks, which have begun to emerge and have a significant impact. This is well worth the greatest attention of companies concerned. Victor Shen, the Shanghai-based chief legal officer at Henkel Greater China and Korea, says the law, in a comprehensive and profound manner, requires companies that operate in the context of the digital era to take advantage of corresponding business opportunities, as well as do well in compliance and risk management. Echoing the introduction of the E-Commerce Law, China has made frequent moves in the field of IP protection. Last December, a set of rules and measures was rolled out for the protection of IP rights, especially for patents. Huo Aimin, deputy director of the legal department at CCPIT Patent and Trademark Law Office, says a national-level IP Tribunal within the Supreme People’s Court (SPC) was set up on 3 December 2018, to be a unitary court handling appeals on IP rights cases that demand highly technical expertise. On 4 December, the Chinese National Development and Reform Commission (NDRC), together with 37 other government authorities, published a Memorandum of Co-operation on Joint Disciplinary Actions Against Seriously Untrustworthy Parties in the Field of Intellectual Property Right (Patent), which prescribes up to 38 stiff administrative and economic penalties for severely dishonest behaviour in the IP field. Late last year, the 7th Session of the Standing Committee of the 13th National People’s Congress deliberated on the Patent Law (Draft Amendment). The draft includes as many as 22 revisions. 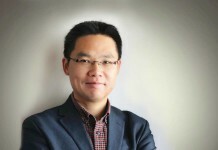 Lin Wei, managing partner at Dare & Sure Law Firm in Beijing, says the latest round of patent law amendments enhances the protection of patent rights, improves rules on burden of proof, increases the amount of damages and fines, and clarifies joint liability for network service providers that fail to prevent infringements in a timely manner. It also adds new provisions to promote the implementation and use of patents. As the Trademark Law takes the lead in establishing a statutory compensation system for wilful infringement, the principle of punitive damages for IP infringement is to be widely used. Yao believes the pending patent law will also introduce a punitive damages system. Last November, in his keynote speech at the 1st China International Import Expo, President Xi Jinping announced the introduction of the sci-tech innovation board and the pilot registration system in the Shanghai Stock Exchange (SSE). Late in January this year, both the China Securities Regulatory Commission (CSRC) and SSE unveiled exposure drafts of the new board. Compared with the existing Growth Enterprise Market, whose eventual setup from the original concept took four years, the speed with which the new board is coming into being has never been seen before. Formal regulatory rules are generally anticipated to be released before or after the second annual session of the 13th NPC, on 5 March this year at the earliest. Based on that, the first batch of companies are expected to make debuts on the new board in the first half of the year. Currently, companies that apply for an IPO shall be subject to prior examination and approval by the CSRC. Patrick Chen, a Shanghai-based partner at Links Law Offices, says applicants shall meet certain requirements set by the CSRC or the stock exchanges, among which the profiting requirement is stationary and usually difficult to reach, especially for those high-growth and innovative technology companies, and in the capital market it is therefore impossible to offer efficient funding support in a timely manner. Chen believes innovative technology companies that failed to meet the current listing requirements and chose to list overseas may now have an opportunity to enter the domestic capital market, and the listing of these pioneering technology companies in China’s stock exchanges would bring back benign competition and promote further development of the domestic capital market. 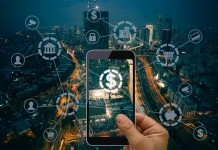 As internet technology develops in leaps and bounds, major countries in recent years have expanded their footprints in the blockchain industry in the hope of getting an early mover advantage before the arrival of the disruptive financial technology wave. On 10 January 2019, the State Council Information Office (SCIO) unveiled the Regulations on the Management of Blockchain Information Services, effective from 15 February. Li Yikun, vice president of Fox Financial Technology Group (a member of Sohu Group), says the regulations mark the establishment of China’s blockchain regulatory framework, and regulate the provision, use and management of blockchain information services. They also specify that the supervision body is the SCIO, and introduce the “filing management system” for blockchain information services operators. “It can be expected that a new situation will emerge in 2019 for China’s blockchain industry,” says Li. Late last year, the Draft Foreign Investment Law was submitted to the 7th Session of the Standing Committee of the 13th NPC for its first reading. The second reading was made in January this year at the 8th Session of the Standing Committee of the 13th NPC. Cui Fan, a senior counsel at Dacheng Law Offices in Beijing, says the new Foreign Investment Law is very likely to be submitted for NPC deliberation and get passed during this year’s two sessions of China’s annual parliamentary meetings. Following its passage, however, there is still some time before its formal implementation. “This law will replace China’s three existing ones on joint ventures and wholly-owned foreign firms, and become the most important fundamental legislation for the country’s use of foreign capital,” says Zhang. The new law states that a pre-establishment national treatment (together with the existing post-establishment one) and negative-list management system will be applied to foreign capital in a comprehensive manner. 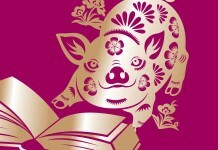 Under the new foreign investment management system, Cui says, the regulatory responsibility of the Ministry of Commerce (MOFCOM), NDRC, State Administration for Market Regulation (SAMR) and other industry watchdogs will be adjusted, the national security review regime will be further improved, and many foreign investment-related laws, rules and regulatory documents will be repealed, amended and established step by step as the new law comes into force. involved will intensify,” says Cui. The inclusion of so-called variable interest entities (VIEs) within the scope of the new law had been a point of focus. However, Zhang points out, the latest exposure draft has deleted the relevant provisions on VIEs. This indicates there will very likely be no VIE-related relevant provisions in the formal draft. Still, Zhang believes the new law will have a great impact on companies using VIE structures (especially new economy firms) to raise funds and get listed, onshore and offshore. The relevant securities regulator overseas, Hong Kong Exchanges and Clearing Limited, will revise its Listing Decision LD-43-3 on VIE-structured companies in accordance with the final version of Foreign Investment Law. Implementation of the “Internet Plus” action plan and the rise of the digital economy not only contribute to economic and social development, but also bring potential security risks and legal issues to the surface. Last September, the 13th NPC Standing Committee released its legislative plan, which will include Data Security Law, Personal Information Protection Law, and Encryption Law to make the digital economy legally guaranteed. 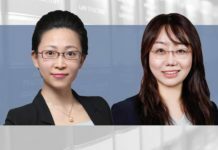 Although China’s Cybersecurity Law (CSL) took effect as early as 1 June 2017, the supplemental rules and detailed standards remain a major area of concern in the new year, notes Yang from VMware. 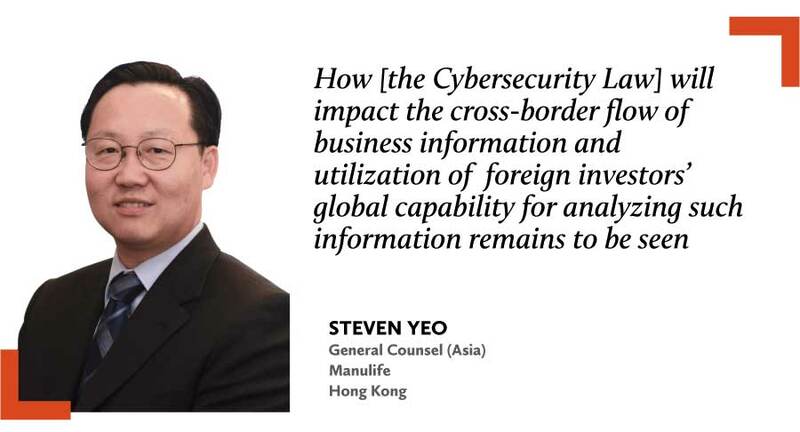 Steven Yeo, senior vice-president and general counsel (Asia) at Manulife, anticipates more supplemental regulations and rules arising from the implementation of the CSL, which may provide more clarity on the impact of the law. “How it will impact the cross-border flow of business information and utilization of foreign investors’ global capability for analyzing such information remains to be seen,” he says. Yang notes the promulgation of supplemental rules, under the spotlight both at home and abroad, is moving slower than expected, and relevant standards on execution-level details are taking too long to be rolled out. “On the one hand, law enforcement agencies of the CSL are overlapping, leading to a lack of co-ordination,” she says. “On the other hand, the implementation and influence of the EU’s General Data Protection Regulation [GDPR], effective from last May, also becomes an important factor to consider and refer to for the promulgation of supplemental rules of the CSL.” Yang expects more regulations will be finalised and issued in 2019. Huo, from the CCPIT Patent and Trademark Law Office, says the GDPR imposes heavy legal responsibility on companies. Once violations are found, the company will face a huge financial burden. In terms of civil liability, the GDPR establishes a model of “joint liability plus presumption of fault”, putting companies at an advantage. In terms of administrative penalties, the minimum fine is no less than €10 million (US$11.3 million) and the maximum can reach 4% of companies’ global turnover of the previous financial year. On 21 January 2019, Google was fined €50 million by the French data protection watchdog CNIL for lack of transparency, inadequate information and lack of valid consent regarding its ads’ personalization. This marks the first €10 million-level GDPR fine and sounds the alarm for companies worldwide. 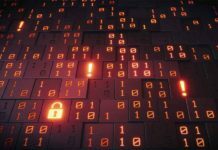 Yang believes the improvement of network security requirements and privacy protection poses a challenge to, but also spells opportunities for, IT companies. By handling risks and seizing opportunities, companies can be in an invincible position in the ever-changing market and legal environment. As China keeps its market economy humming and international trade disputes arise more frequently than ever, the importance of a competition policy of openness and transparency has become increasingly prominent. 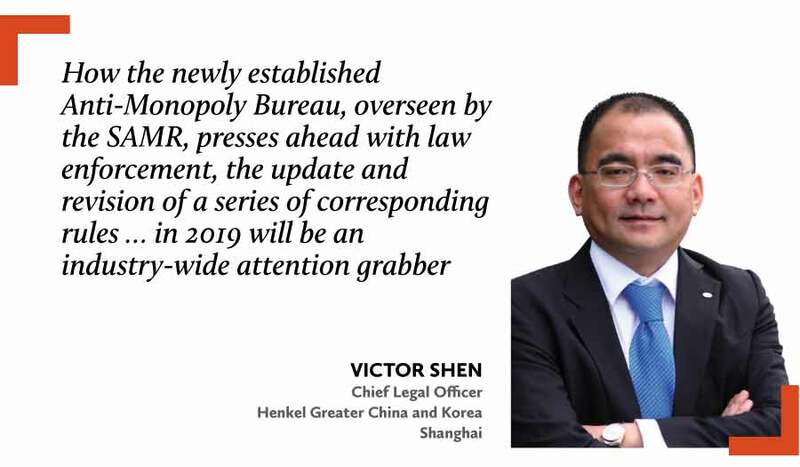 “How the newly established Anti-Monopoly Bureau, overseen by the SAMR, presses ahead with law enforcement, the update and revision of a series of corresponding rules, as well as the amendment of the new Anti-Monopoly Law [AML] in 2019 will be an industry-wide attention grabber,” says Shen, from Henkel. John Ren, managing partner at T&D Associates, says China consolidated the antitrust law enforcement power shared by three separate agencies into the newly established SAMR to handle all antitrust matters last April. The consolidation is followed by the sort-out and unification of law enforcement standards (especially the unification of law enforcement standards on price and non-price monopolistic behaviour). It also kickstarts the major overhaul of the AML and supporting legislation. 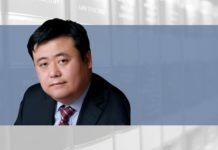 Zhan Hao, managing partner at AnJie Law Firm in Beijing, believes the consolidation of antitrust law enforcement power in one agency indicates a substantial increase in law enforcement activities this year. Industries like the internet, pharmaceuticals and semiconductor will come into focus. Meanwhile, the SPC’s judicial interpretations on civil antitrust litigation will be amended this year, leading to an increase in civil antitrust lawsuits. In the new year, Ren says, new departmental regulations like the Rules on Prohibition of Monopoly Agreements, Rules on Prohibition of Abuse of Dominant Market Position, and Rules on Prohibition of Abuse of Administrative Power for the Purposes of Eliminating or Restricting Competition will be promulgated and enforced. Antitrust guidelines on IP rights, automobile industry, monopoly agreement exemption, as well as recognizing the illegal gains obtained by business operators from monopolistic acts, and determining the amount of fines, will be released step by step. 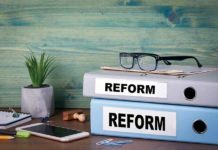 “The new antitrust supporting legislation, on the basis of the existing laws and regulations, integrates with the decade-long experience of antitrust law enforcement agencies and reflects the direction of law enforcement in the field of new economy, new business and new technology,” says Ren. He believes companies in key or emerging industries like pharmaceuticals, internet and cloud-computing should be closely watched. The concern over market fluctuations rings especially true as protracted and escalating trade tensions between the world’s two largest economies cast a shadow over global markets. During the trade negotiations, Sun says the actual pressure imposed on China by and large is to open up its domestic market to foreign goods and investment. According to the international practice of the development of trade and economy rules, the host country will regulate its trade and market for foreign goods and investment by legislation. In the area of trade, the central government is sure to spend more legislative efforts on trade remedy investigations. Sun says Chinese companies, especially those that target the domestic market, should pay close attention to the current situation of legislation on China’s trade remedy investigations. Once their own interests are infringed by foreign goods and capital, companies should proactively take advantage of China’s trade remedy legislation to apply to MOFCOM for anti-dumping, anti-subsidy and safeguard trade remedy investigations, so that pressure of direct competition on Chinese enterprises can be reduced from time and taxation. As society gradually reaches a consensus that lucid waters and lush mountains are invaluable assets, how to integrate economic growth with environmental protection has become a crucial issue facing companies’ future development. As legislation, justice and enforcement in the field of environmental protection becomes more rigorous, Lu says companies should size up the situation and respond actively to minimize legal risks with the improvement of environmental protection-related compliance management. He suggests that companies conduct self-examination and correction in accordance with the current focus of environmental inspection to judge their compliance from the following three aspects: the completeness of licensing (including licensing of environmental impact assessment, check and acceptance, and pollutant discharge); the normal operation of facilities for the prevention and control of environmental pollution (including the disposal and seepage control of sewage, exhaust gas, noise and solid waste); and whether the actual emissions and discharge comply with the standard.